Jun. 8, 2017 3:00 p.m.
Red Deer, for the sixth year in a row, took part in the Walk a Mile in Her Shoes event on Thursday. 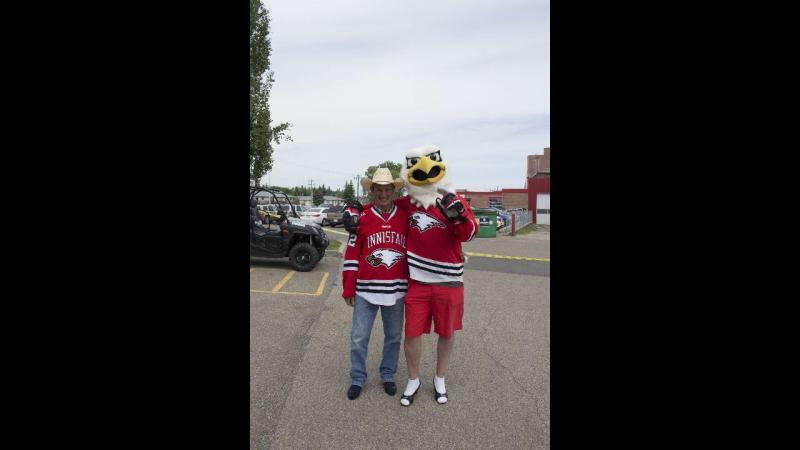 The event, which raises funds to support the 20 different programs put on by the Central Alberta Women’s Outreach Society, brings together men throughout the community to literally walk a mile in four-inch women’s red high heel shoes. Darcy Ouellet, funding development officer for Women’s Outreach, said the most important aspect of the event is creating awareness in the community. 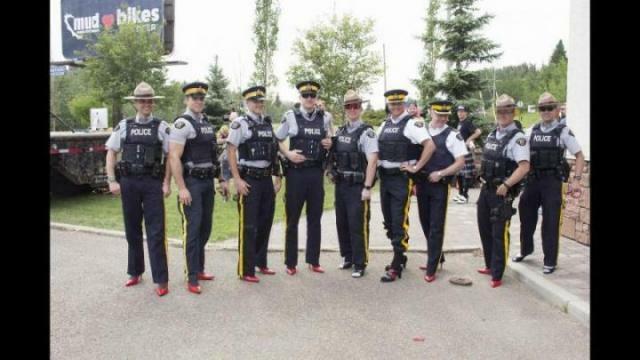 The Red Deer RCMP detachment was one of the several different local organizations taking part in the event – with nine uniformed officers donning the heels. RCMP Supt. Ken Foster said it is important for his officers to take part in this event, considering the RCMP deals with issues of domestic violence frequently. He noted that relationship violence is not exclusive to women, however the cases his detachment deals with have women primarily as the victim. Ouellet explained that events like this help raise awareness for all the services offered by Women’s Outreach. The Toad and Turtle Pub House and Grill has sent walkers to the event for many years, and for Adam Wheeler the importance of this event is poignant. Last year’s leading fundraiser was the Innisfail Eagles Hockey Club. Coach Brian Sutter was hoping to encourage others and improve on last year’s numbers. Ouellet added the best way to learn about the programs offered by Women’s Outreach is to see for yourself.